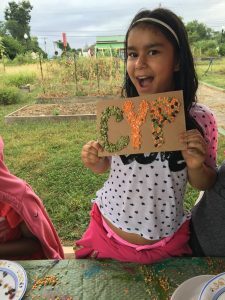 There are many ways to support CYP! Shop Amazon Smile for all of your fall needs and support CYP. Use this link to register your Amazon account with the Amazon Smile program. Did you know that you can support CYP through your office’s United Way Campaign? When you fill out your donation form, write us in! 1 Mountain Ave SW, Roanoke, 24016. The Community Youth Program (CYP) at St. John’s, Inc. is a 501(c)(3) not for profit organization. Your donation may be tax-deductible. You can also donate through to our ClickandPledge using the button below! The Community Youth Program is an intentionally small non-profit in order to create the biggest impact in the lives of our youth. We do not charge any fees for our parents to enroll their students and raise a majority of our overhead costs through our annual fundraisers such as Oyster Roast and Diner En Blanc. Not only that, we could not do it without the generous financial support of our donors. Through your donation, no matter how small or how big, it all makes a difference. If the donation is $500 or more, donors can take advantage of the Virginia Neighborhood Assistance tax credit (NAP), which is about 65% of your donation amount. Gifts in kind can range from books, bookbags, school supplies – to enriching experiences or field trips for the children. Through gifts in kind, we are able to conserve our monetary resources for other expenses for programming.